Most meteorites recovered so far are heavily ablated and feature rounded edges and distinct primary fusion crust 0.2 – 0.5 mm thick. Secondary and lesser degree fusion crust is abundant on many surfaces, even on the smallest pieces > 1 g. Because the breaking up of meteorites continued into the dark phase of the flight, many of the fragments show broken surfaces that display little-to-no atmospheric ablation. In general, the color of the fusion rind is mainly a function of the iron content, the mineralogic composition of the meteorite and the range of melting temperatures and subsequent viscosity of the melt on the surface of the meteorite. The color of the fusion crust on many pieces of the Chelyabinsk meteorite is not the common dull black but rather a reddish brown. Often Chelyabinsk meteorites show several variations of brown on different surfaces of one piece. Since the red-brown color has also been observed on specimens picked up hours after the fall, we believe that in many cases it is not an effect of terrestrial weathering. Instead, the color differences are caused by variations in the magnetite (and wüstite) contents in the crusts of opposite sides. These, in turn, are controlled by the supply of atmospheric oxygen and the temperature of the oxidation process. A high vacuum on a trailing side, for example, reduces or blocks the supply of atmospheric oxygen to the reaction. 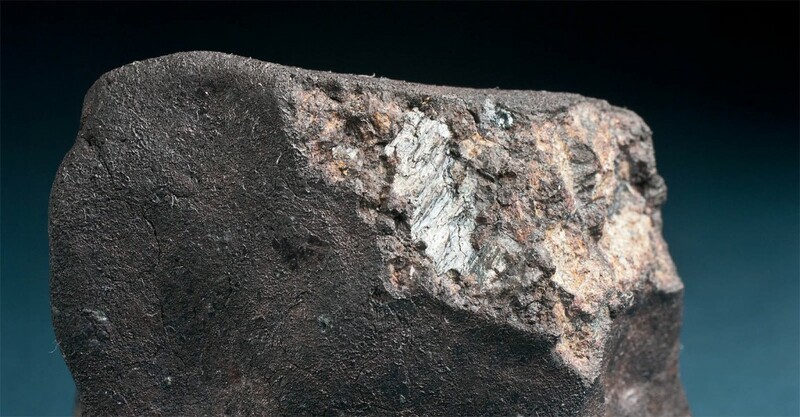 Since most meteorites tumble chaotically during atmospheric ablation, we must expect that different colors and textures of crust alternate on an ablating meteorite. Since the fusion crust of a recovered specimen has preserved only the terminal fraction of the ablative sequence, the pattern it displays represents rather a snapshot of the process than its history. In a multiple break up scenario, where tens of thousands of fragments were produced within seconds which in turn continued to fragment successively, it is likely that for clusters of ablating meteorites temporarily low oxygen environments were also caused by turbulences and near-vacuum trails of preceding fragments. Fragmented surfaces that were not subjected to atmospheric Ablation, often display distinct shock veining, minor brecciation and planar fractures. Single cm-sized impact melt pockets are common and also occur as individual meteorite fragments. The abundant shock planes along which the meteorite broke apart in the atmosphere often show slickensides. Some fragments display shock planes as complete surfaces. 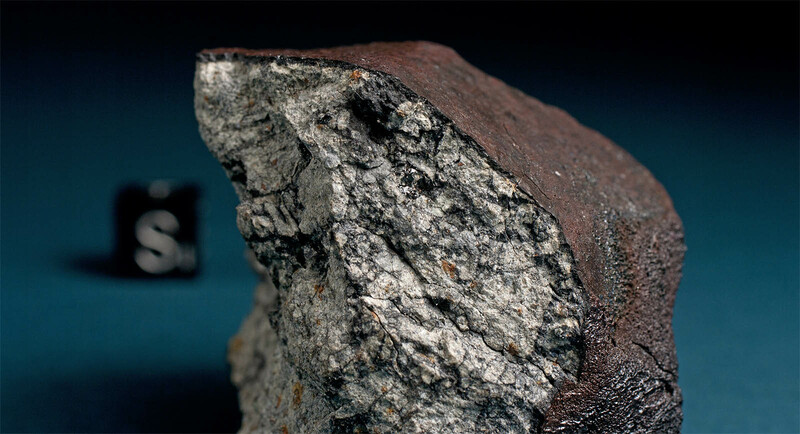 Pieces of the Chelyabinsk meteorite were traded and sold as early as February 15, the day of the fall. On February 16, the first specimens appeared on the Russian internet portal avito.ru and were sold to various buyers, both in Russia and internationally. 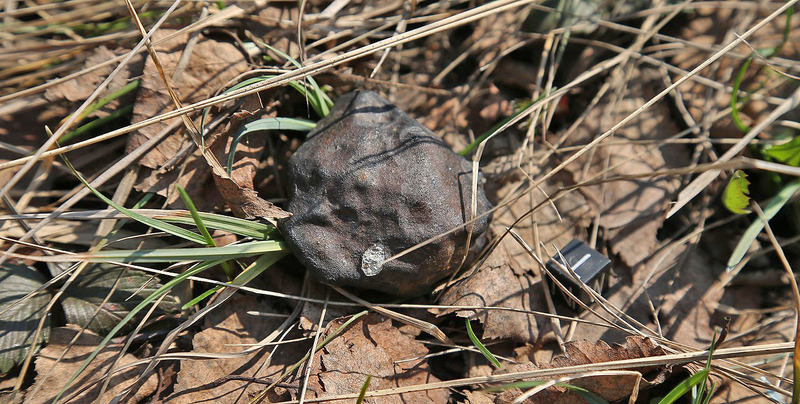 On February 18, Russian media websites reported that the trade of fragments from the meteorite was considered illegal by scientists, and as a consequence, meteorites found in private possession would be confiscated. This in turn was denied by Russian law firms and attorneys, who made clear that no current law existed that prohibited the possession and sale of meteorites in and out of Russia. 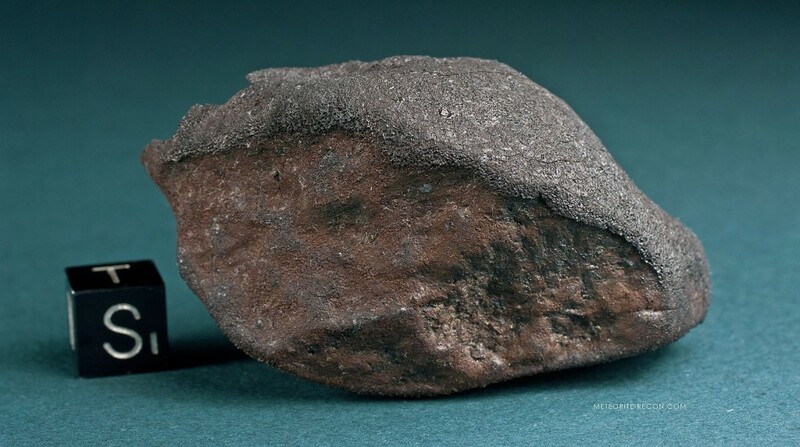 While it is true that the 1832 Code of Law of the former Russian Empire declared meteorites to be the property of the government, it is also true that the 1832 Code of Law was replaced for good reason after the Russian Revolution in 1917. Since 1996, the Civil Code of the Russian Federation has held precedence. It contains a paragraph on mining laws (that do in fact mention meteorites), but the mining laws are only adressing the status of resources under the soil, which means they can not be applied to objects on the surface. Instead, the relevant paragraph is § 2,129 Civil Code. It does not mention meteorites under the list of objects that automatically fall into the government’s possession. Thus, the attorney and Russian law expert Ruslan Koblev explained that a person finding a meteorite in Russia is free to do with it whatever they chose. However, Russian scientists did not like the idea that private individuals keep or sell the meteorites they have found. The director of the Vernadsky Institute of Geochemistry and Analytical Chemistry, Erik Galimov, told the newspaper Izvestiya that the removal of fragments of the meteorite would endanger the work of scientists. 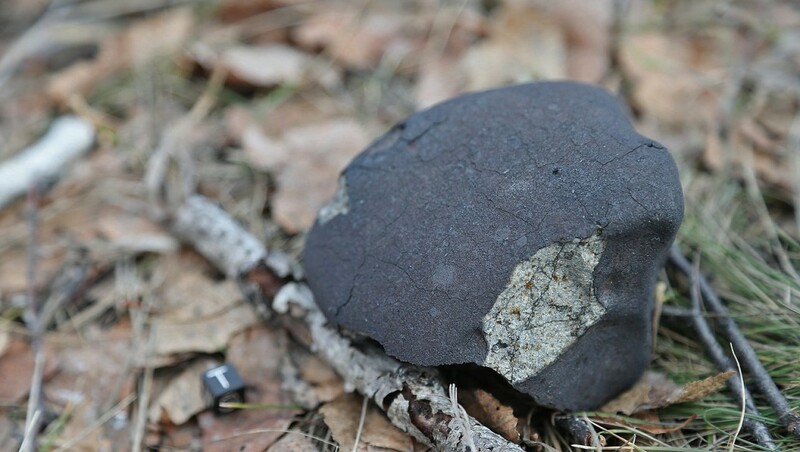 The member of the Duma Committee for Science and High Technology, Victor Grokhovsky, explains why: ‘If Western scientists were to publish an analysis of the Chelyabinsk meteorite prior to our own findings, it will affect the prestige of Russian science in general’, he told Izvestya. On February 26, RIA Novosti reported that Russian scientists had appealed to the Federal Customs Service with the intent to stop fragments of the Chelyabinsk meteorite from being exported. However, there was yet no legal basis for an export prohibition of Chelyabinsk meteorites. As a consequence, the Russian Duma announced an initiative to ban meteorites from export that have fallen on Russian territory. The decision of the Duma’s Committee for Science and Technology on the matter was scheduled for announcement on March 6 or 7, but the date has elapsed without any decision becoming public. It remains to be seen if such a ban would be beneficial to the goals of the Academy of Sciences, given the many specimens that have already been traded prior to the new legislation.